Tickets to see Bear Grylls Interviews Sir Ranulph Fiennes at the Royal Festival Hall are on sale now! Come celebrate the adventurer's 75th birthday as he is interviewed by his fellow companion and best-selling author Bear Grylls! Widely considered as one of the greatest explorers of our time who holds a Guinness World Record title to his name, Sir Ranulph Fiennes is an absolute living legend and it would be criminal to miss him discuss his life story live on stage. After spending his entire life chasing adventure, Fiennes is out with a new edition of his top-selling autobiography, Mad, Bad, And Dangerous to Know. Fiennes has dared to go where no man has gone before, undertaking some of the most dangerous private expeditions ever recorded. His many record-breaking adventures include being the first man to reach the North and South Poles, the first man to brave the Antarctic and Arctic Oceans, and the first man to ever circumnavigate the Earth along its polar axis. 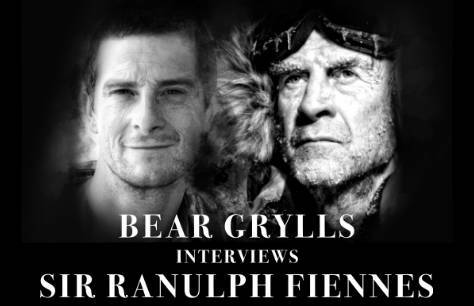 And who better than Chief Scout Bear Grylls to be the one to interview the one and only Ranulph Fiennes. With top-selling books and countless global adventures under his belt, Bear Grylls is the perfect person to 'grill' Fiennes on his unprecedented lifetime of exploration. This may be your only to chance to ever see the extraordinary Ranulph Fiennes in London's West End! Don't miss this one-off event and be sure to book your tickets to the Royal Festival Hall's Bear Grylls Interviews Sir Ranulph Fiennes today while stocks last! A funny and inspiring evening by 2 great men. My 12 year old so really enjoyed. My only criticism is that our seats were not the best view and because my son was struggling to see we tried to move to some free closer seats with other parents but were rudely strong-armed back by some ushers. Even though I was on the balcony I still had a good view. The show was entertaining.